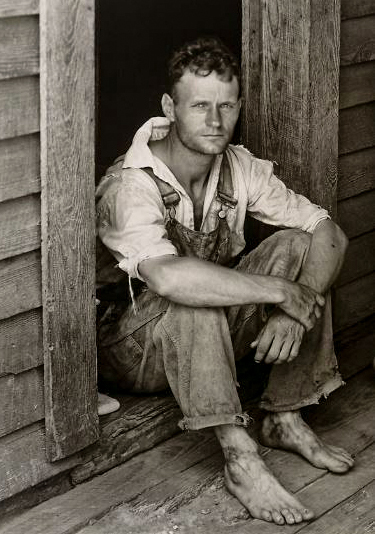 A photograph by Walker Evans of Alabama tenant farmer Floyd Burroughs from Let Us Now Praise Famous Men. The book, written by James Agee, details his and Evans's experiences with Alabama tenant farmers and sharecropping and was published in 1941. Burroughs is referred to as George Gudger in the book.